On the golf course called the Ravens at Three Peaks, Fox Valley Ranch is a mixed clustered housing, many single-family homes and duplex homes built in the 2000s. These are one of the newer planned subdivisions in the larger Eagles Nest neighborhood that surrounds the golf course. 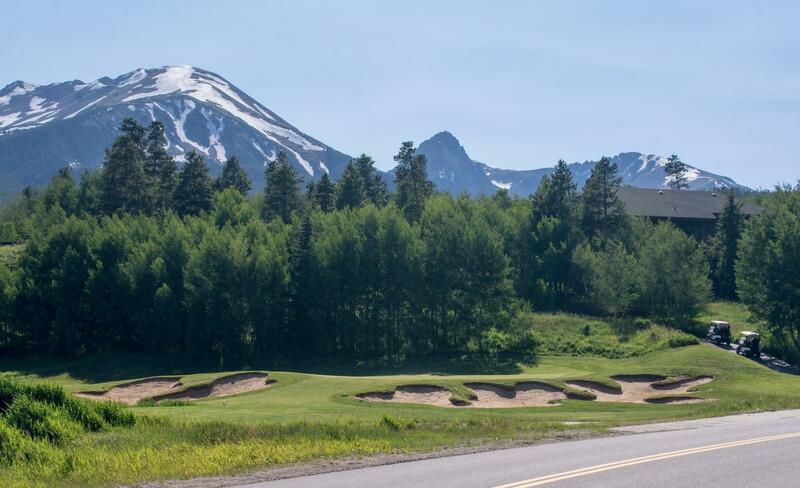 Homeowners in Fox Valley Ranch enjoy all the amenities of the neighborhood as well as the pleasure of living on golf course. The Gore Range is in view from this part of the neighborhood, and the Blue River with is gold medal fishing stretches is just across Blue River Parkway (or Highway 9). Above the river on the other side of the valley that surround Fox Valley Ranch is the Ptarmigan ridge of the Williams Range. Pictured above is the Gore Range from across the valley. Fox Valley are the first homes you'll see across the highway. In addition to golf: The Ravens Golf Club at Eagles Nest - or generally called Eagles Nest -- this neighborhood enjoys the amenities of the clubhouse, and cross-country ski trails in the winter. A wilderness area of the same name lies close by, to the west, and climbs up and over the Gore Range. Trailheads can be found nearby. Square Footage: 2,056 to 4,192 sq. ft.
From I-70 drive north about 2.5 miles through Silverthorne to Golden Eagle Drive. Take a right on Golden Eagle, then quickly right on Kestrel Lane, and then another right on the loop called Talon Drive. A few of the Fox Valley homes that could be for sale may have an address on Kestrel.